This Window Hung Lightbox Can Last for Up to 100,000 Hours! 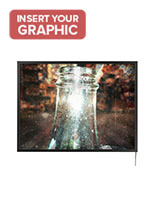 This Display Saves Businesses Money on Energy Bills! This Window Hung Lightbox is Ready to Install! 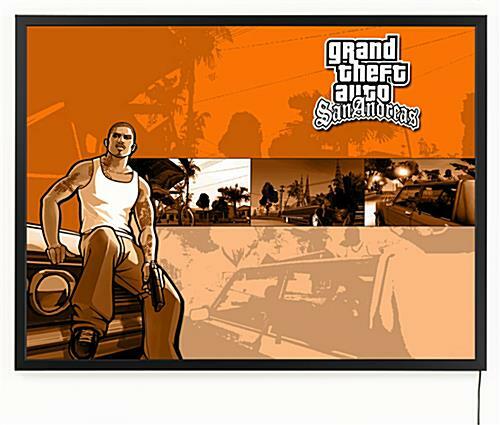 22" x 28" 24" x 36" 27" x 41" 36" x 48"
18" x 24" Frame holds large format posters which are visible from greater distances than standard size prints. This window hung lightbox gives users the power of LED advertisements at a very affordable price. 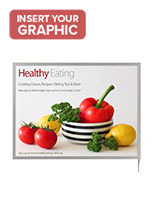 This poster light box features embedded lights in the edges of the display, which shine behind graphics and messages for a backlit effect. 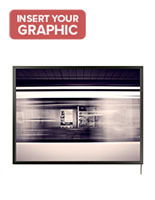 This window hung lightbox with LED outline lighting, also known as a light box, offers users the ability to showcase their advertisements for long periods of time against the entranceway glass. The lights within the poster display save money on electricity bills because it utilizes far lower energy and lower voltage than the majority of the traditional models on the market. 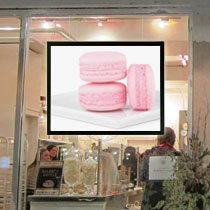 Each window hung lightbox that flips shut provides a beneficial hanging kit for simple mounting in a shopfront. 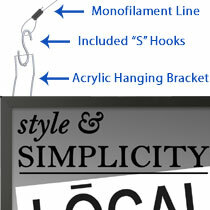 This kit includes (2) 60" length monofilament lines, (4) "S" hooks, (2) ceiling hanger clips & (2) toggle bolts. 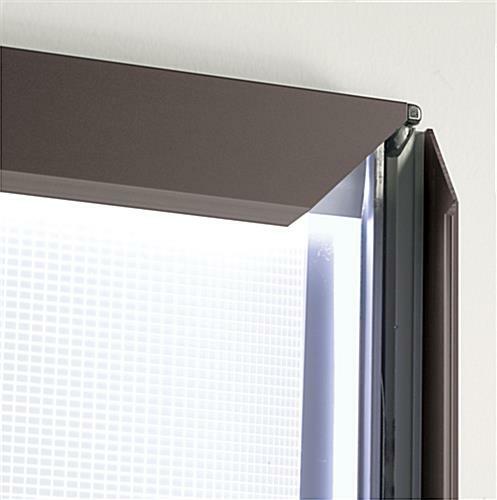 Users attach the window hung lightbox that glow in shops lines to two polycarbonate brackets. These brackets are stronger than regular plastic. 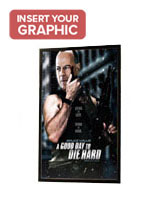 Changing posters is very easy thanks to the snap frame technology. Users can leave the hanging system intact when changing signage. 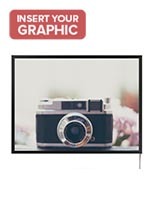 The light box display, single faced window hung lightbox offers pre-drilled channels on the back for attaching the hanging system. 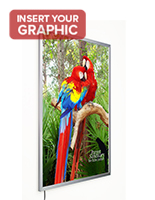 These channels run on all four sides, so store managers and glass shop front dressers are able to hang the poster frame in landscape and portrait orientation. The attractive black finish frame blends in with pre-existing storefront showcases. The window hung lightbox that links to lines, such as an illuminated poster frame, attracts potential customers from off the sidewalk and into the establishment. These models call more attention to any shop front ad campaign. 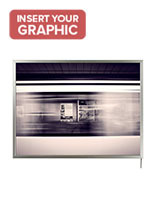 Overall:18-3/4" x 24-3/4" x .83"
Graphic Size: 18" x 24"
18.8" x 24.9" x 0.8"